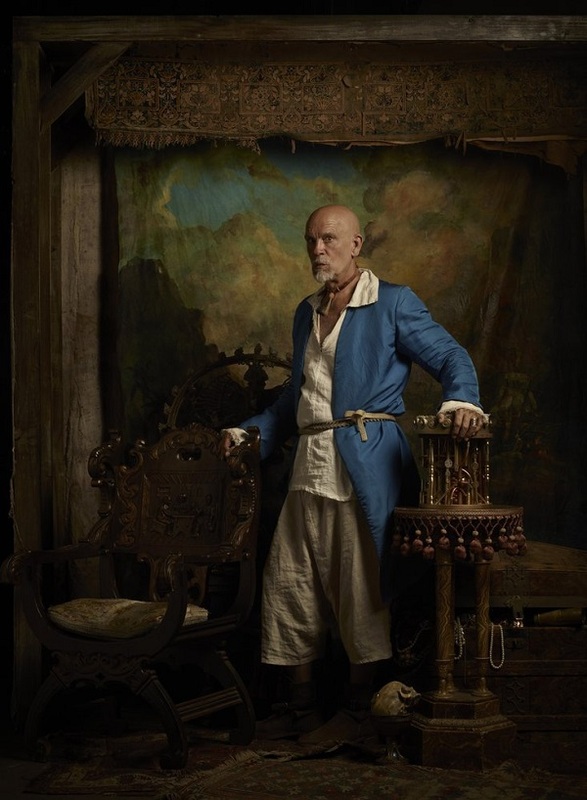 After watching the dynamic trailer above for NBC’s upcoming adventure drama Crossbones, it’s obvious that my bucket list has been sorely missing the entry “watching John Malkovich play Blackbeard the pirate,” and is in need of an immediate amending. Thankfully, I’ll only have to wait a little longer than a month to catch the Oscar-nominated actor in a legendary turn as one of history’s most notorious villains. While it shares the same time and place as Starz’s high seas drama Black Sails – the year 1715 on the Bahaman island of New Providence – Crossbones is a completely different take on the pirate life, presenting a fictionalized account of Edward “Blackbeard” Teach’s occupation and democratization of the well-known pirate refuge. Certainly Malkovich’s scruffy white chin doesn’t imply Blackbeard's titular description, but we all know that legend rarely subscribes to the same story as reality. 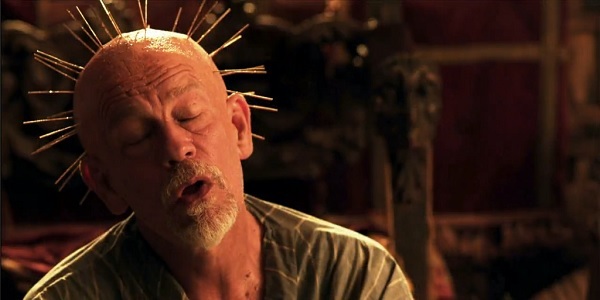 He could have a Nike swoosh tattooed on his head for all I care, as Malkovich so completely embodies this character with a penchant for violence that dilutes every one of his seemingly innocuous smiles. 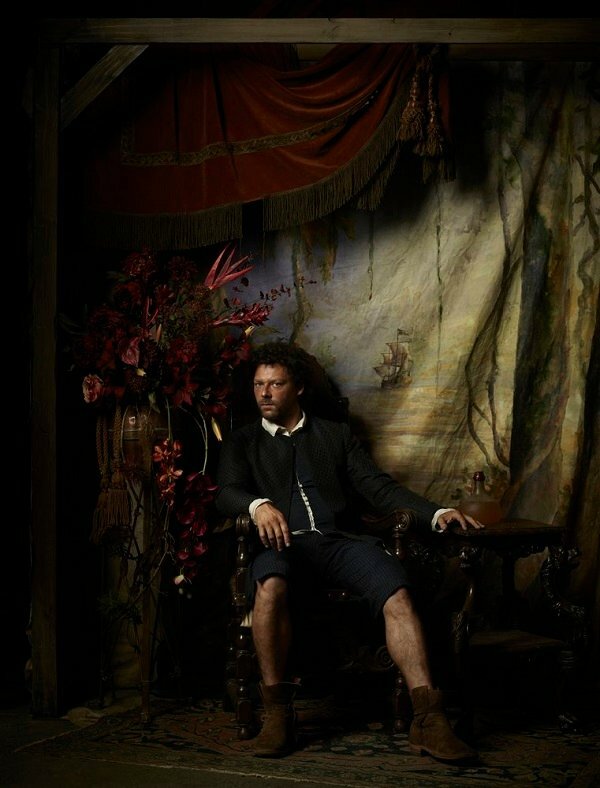 The conflict of Crossbones involves physician and assassin Tom Lowe (Richard Coyle), who is sent out on undercover assignment by the British government to infiltrate Blackbeard’s regime to bring him to justice. But it doesn’t take long for the pirate’s persuasive tongue to woo Lowe into this apolitical lifestyle that somehow remains civilized despite the absence of laws. From the looks of the trailer, it appears the two men get into a game of costume charades, and Blackbeard looks to Hellraiser for a solid Pinhead impression. As it happens, more people are after Blackbeard’s head beyond just Lowe, so it’ll be interesting to see where the government agent falls when the swords are swung. Because Blackbeard’s death wasn’t recorded until late 1718, it isn’t likely we’ll see him die during the span of this series, but it’s possible series creator Neil Cross (Luther) isn’t the least bit tethered to how history ended up. So long as Captain Jack Sparrow is on the opposite end of the world, I’m game for anything. Based partially on the book The Republic of Pirates by Colin Woodard, Crossbones will make its debut splash on Friday, May 30, which makes me think NBC isn’t that enthused by the project. But any series that puts out spectacular character images such as those below (via BleedingCool) has me ready to plunder and pillage right alongside it...the next day on DVR.